A support group for queer and trans people of color. We are a social group intended for queer and trans people of color to create a space to interact, engage with others, and find resources related to queer life within the Athens community. 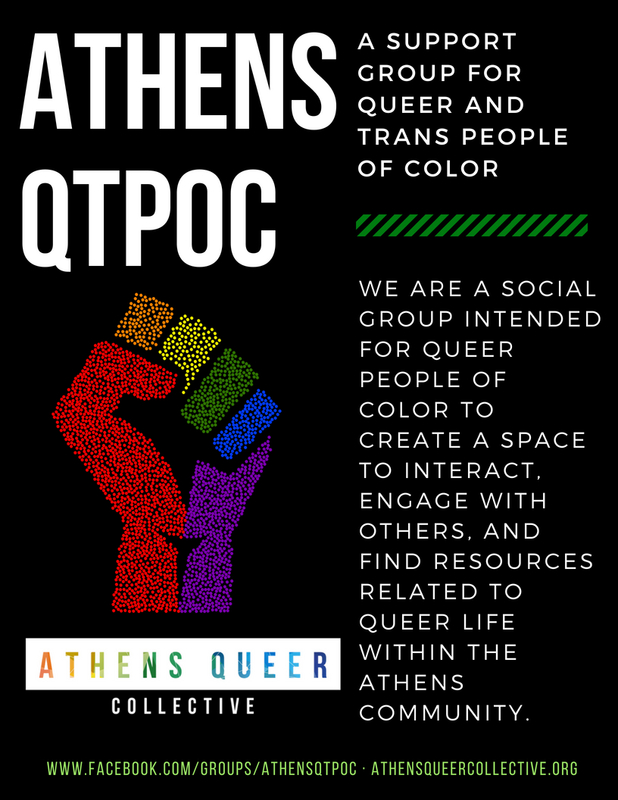 If you’re a queer or trans POC in Athens, click here to join our private Facebook group. For more info or questions, complete and submit the contact form below.